Fans are just weeks away from the final season of HBO’s Game of Thrones. It may turn into an emotional milestone for both the fans and the cast. This includes Kit Harington, who played a focal part of the show as Jon Snow. He recently spoke with Variety about the series, and reflected upon his character. He also shared his belief that the final season will really enthrall viewers. “They went balls out, I think is the term,” said Harington. “They could have easily set the same budget as they did for Season 7, but they went bigger.” Harington also shared his belief that the expanded budget was mean to “establish that HBO can do this” for the upcoming prequel. The full interview can also be found here. 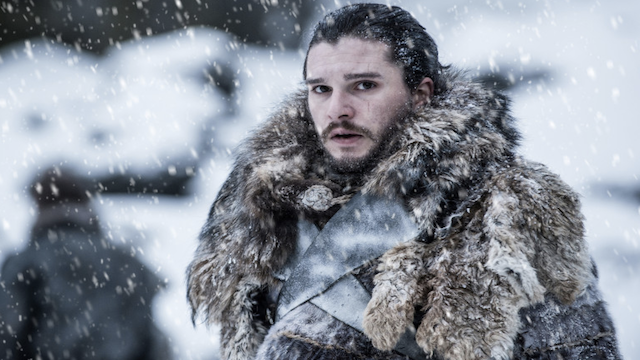 Game of Thrones’ final season kicks off on April 14 on HBO. Are you sad to see Jon Snow and company go? Let us know in the comment section below!